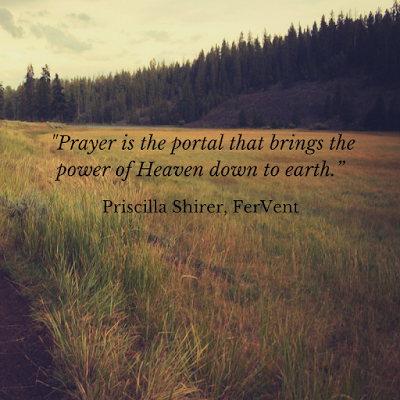 Prayer is the portal . . .
Do I truly believe this? Does my life bear this out? Do I PRAY like this is a fact? Lord, restore my passion for YOU. Renew my love for you. Revive me! 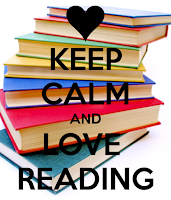 For the Love of Reading . . . I have always enjoyed reading. As a child and then later as a teenager, I could be found devouring most any work of Christian fiction. I spent hours reading my fair share of the Sugar Creek Gang series, and the Love Comes series by one of my teenage favorite authors Jeanette Oke. There's something to be said for allowing your mind to explore new places and ideas held within the covers of a good book. As I grew older, the desire to read didn't fade, but the time I had to read did. I would see a book with a cover that intrigued me, purchase the book, take it home, open the cover and smell the pages (don't tell me that you don't do that . . .), read the first chapter or maybe two, and then fall asleep! The book would sit on my nightstand, be dusted every week, and then eventually be put back on the shelf with the other books that had the same fate. So here I was, a shelf of very attractive covers, collecting dust. 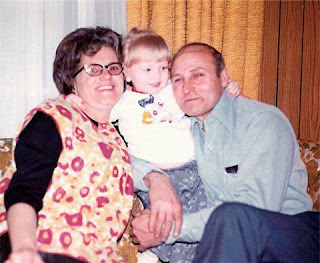 I remember hearing a recording of my Papaw's voice about a year ago. I was immediately moved to tears. I hadn't heard it since 1985 when he graduated to Heaven. I had honestly forgotten what it sounded like, but as soon as I heard it, I knew it was him. I want to me more intentional about this for Allison and Reilly, both with our parents, but with us too. There will NEVER be a time when my makeup is "right" or when the camera doesn't add 5 (or 12) extra pounds. The kids won't care about any of that! So my challenge today is this. Go make some memories and some recordings for your kids (and those who come after). It will not be wasted time.